In the 1st part of my Knuckle Care post I went over the use of super glue on a blistered knuckle. For this part I go over the fist guards. Another way of protecting your knuckles is to use fist guards. If you search the web for fist guards you'll find a bunch of karate style pillowy padding. 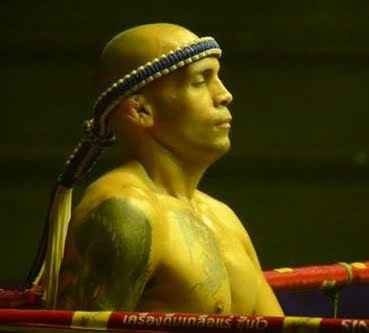 In Thailand, the same concept is to use athletic tape in order to make a protective mold out of the fighters knuckles. This hard mold acts like a bumper which helps even out the distribution of shock throughout your knuckles when you land a punch. This is also perfectly legal if you're fighting in Thailand. You can ask your trainer to make it for you or follow the instructions from this video.